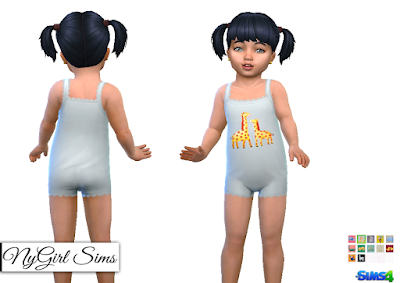 A simple and cute lace trimmed pajama/bodysuit with animal decals for your toddlers. Made from a mixture of TS3 and TS4 textures. Mesh edit by me. Comes in 12 presets.